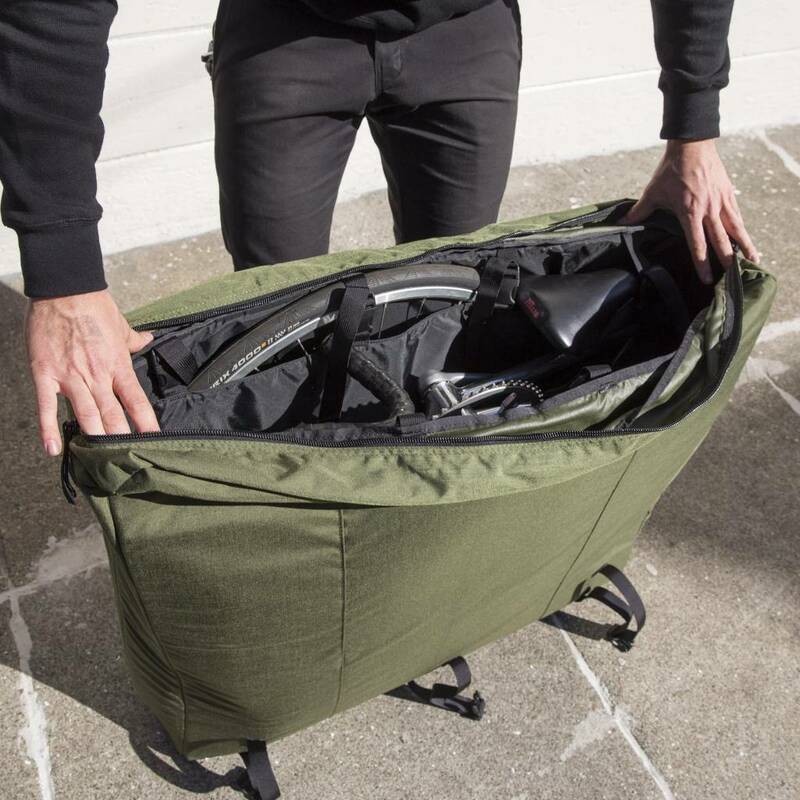 After years of flying with bikes, we have evolved the bike travel bag in a direction that fits us. 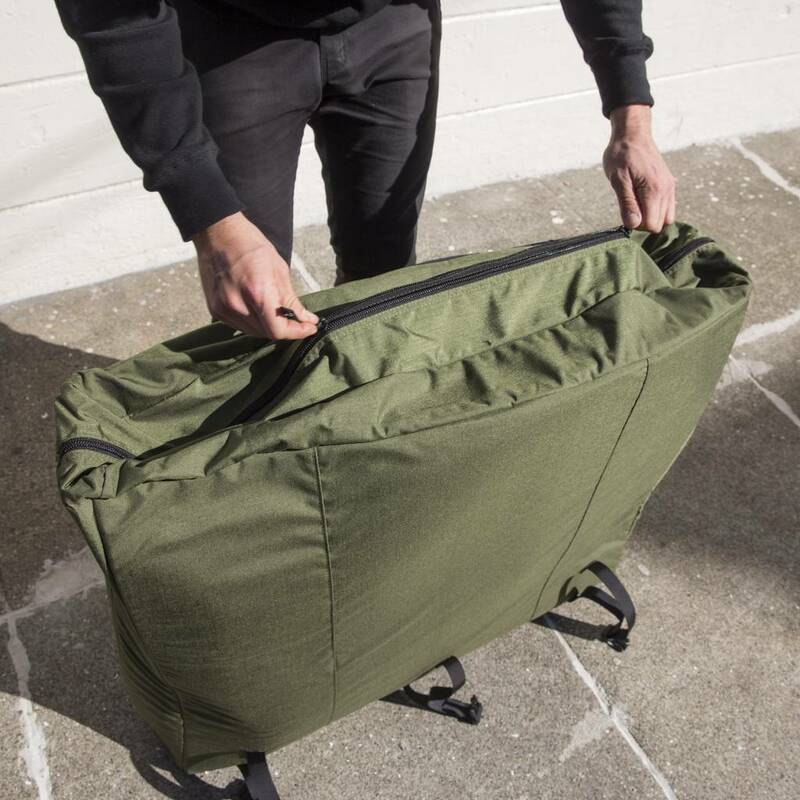 The goal was to create a bag small enough to avoid oversize bag fees at the airport, to be light weight, and for your bike and components to stay protected. 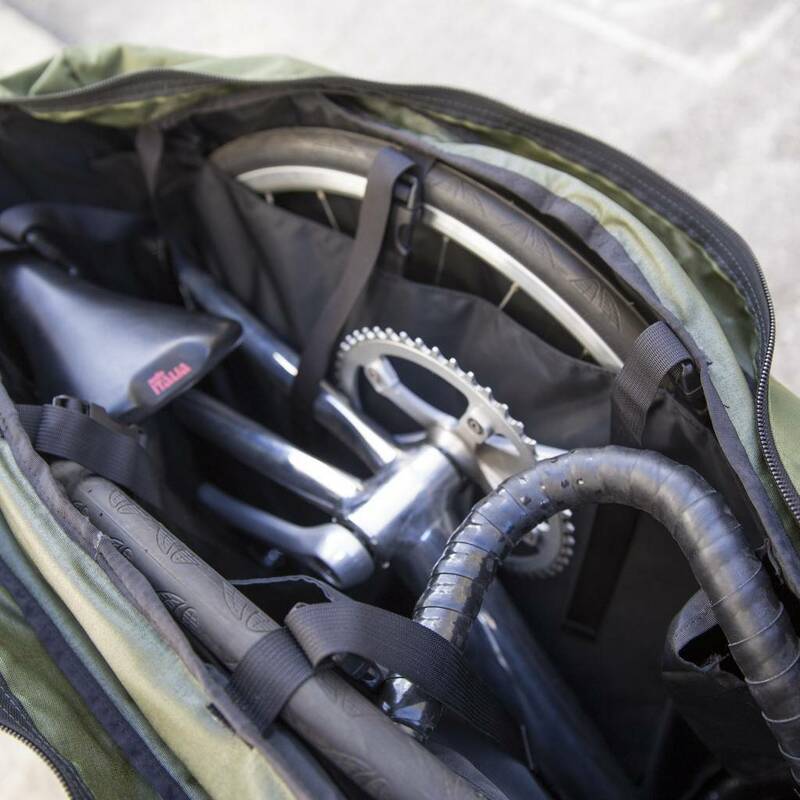 The bag is lined with a thin lightweight padding to protect the bike on all sides. The backpack straps are designed to tuck away when flying. A removable shoulder strap can help you navigate narrow crowds. The inside walls of the bag host offset wheel compartments, with reinforced liners to protect from axles pushing through. 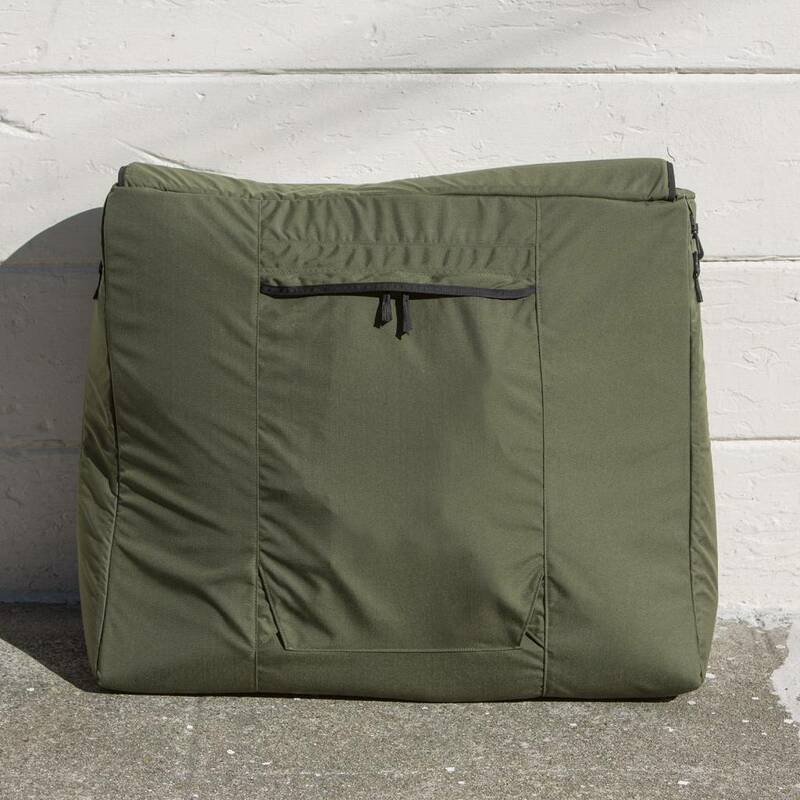 There are also 2 large pockets inside to carry large and small components. This is the bag we have wanted for a decade, and feel lucky to have created it with a historic outdoor brand like Jandd. Will fit most all sizes of road, cyclocross, and urban bikes. Not ideal for touring or mtb bikes. 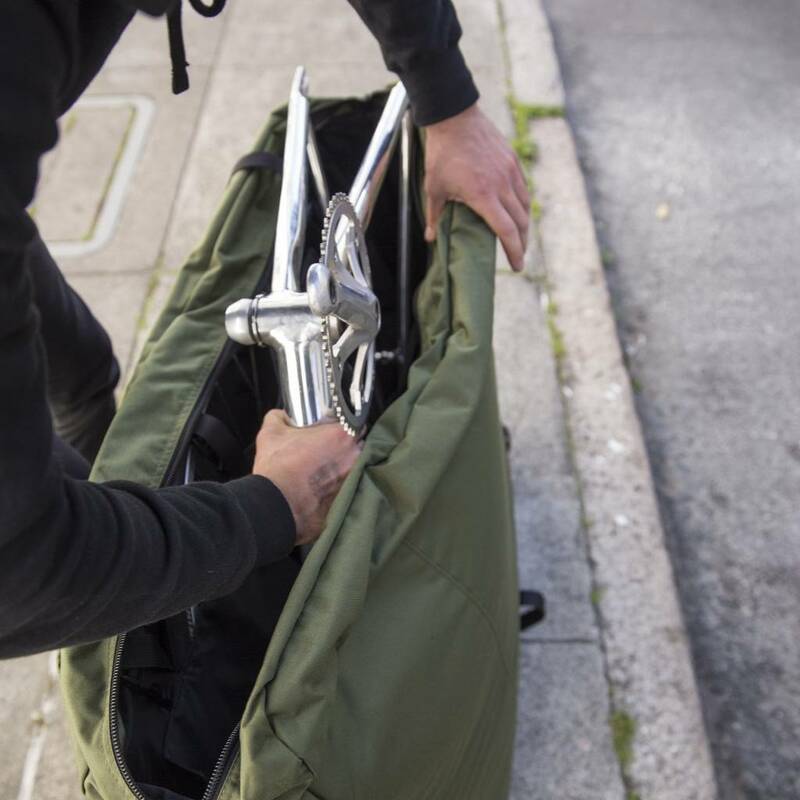 You need to be able to break your bike all the way down including removing the fork. In most cases you can keep cranks on, but pedals off, bar/stem off, seat / seat post off. When flying with your bike domestically, if asked by the airline, we recommend calling the contents of the bag a trade show display, or art. The bag weighs 6lbs empty.